The Iraqi people and their political leadership were optimistic when the United States first announced its intention to form an international military coalition to assist Iraq in its war against the Islamic State in Iraq and Syria (ISIS). At the time, everyone assumed that a solution was close and that Western jet fighters will wipe out ISIS. They all believed that the Obama administration will be Iraq’s savior from terrorism. Since the beginning of the military campaign on August 7, the coalition’s warplanes have not launched any significant strikes on the Iraqi territories that changed the course of the war against ISIS or blocked the supply road linking militants in Syria’s Raqqa to those in Iraq’s Mosul. According to Pentagon spokesperson John Kirby, the coalition costs Iraq over $6.7 million a day, but it has yet to find an opening that would enable Iraqi ground forces to recapture regions under ISIS control. Further proving the inefficacy of the airstrikes, ISIS recently mobilized 2,000 militants in the city of Mosul in northern Iraq. They boarded hundreds of cars and brandished their guns as they held military parades, even though coalition planes were carrying out daily raids on the north. The planes have seemingly missed the large crowds. From August 8 to September 2, the sorties of coalition planes have cost the Iraqi government $260 million, representing the first payment of the total cost of the aerial campaign on Iraq and Syria so far, estimated at $424 million. The remainder is to be settled in the coming period. It is worth noting that the use of one F-16 jet for an hour costs about $24,000. However, making these payments contradicts with the declarations of Foreign Minister Ibrahim al-Jaafari who affirmed in the past that “Iraq will not pay anything to the international coalition for its military campaign in Iraq,” adding that “the participating countries will will be responsible for these costs.” This suggests that the Iraqi government was not aware of the details of the coalition’s agreement signed in New York. 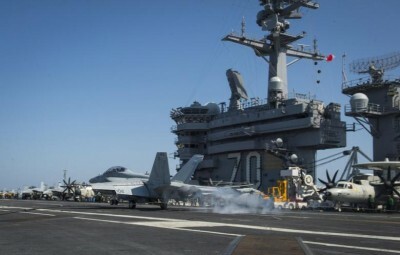 Western media, which reported on the international coalition with great fanfare, has remained quiet about the results of the coalition’s strikes that were not even revealed by the Iraqi military forces. Meanwhile, the Obama administration and Pentagon officials only talk about the financial costs. As a matter of fact, officials in Washington have admitted that the airstrikes have only accomplished 10 percent of the set plan, suggesting that there is a long term strategy which will take at least one year, as was previously announced by President Barack Obama. At the time, Obama’s declarations contradicted former Iraqi Prime Minister Nouri al-Maliki’s assertion that ISIS will be crushed within a short period of time. Ever since the onset of the aerial campaign, coalition aircrafts have focused on the border region between Mosul under ISIS control and Iraq’s Kurdistan in the north, raising suspicions that the West is actually worried about its own interests and is not fighting terrorism, especially since some threatening rallies have emerged near Baghdad, but the West has so far refrained from targeting them. Pro-government paramilitary groups also announced that coalition planes had targeted them by mistake.